What is it about waking up in the middle of the night, and not being able to go back to sleep until. . . .
you see the first mornings light coming through your window? 216.) soft, clean sheets against my skin as I lie awake at night. 220.) the fisherman saying “I love you, Lisa” – nothing could be better then that. Next Article Just when. . . I totally know that feeling, Lisa! It’s been happening much too often of late … mind reeling from the days events somehow stops sweet sleep from taking over. Hopefully tonight will be better. 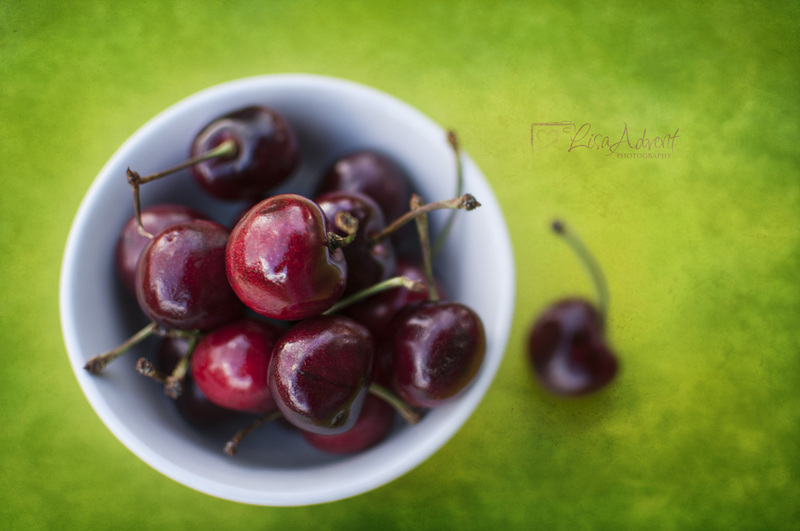 I do love your photos, my friend … great composition and focus on those delicious looking cherries! Did you add a texture layer to the first one? It’s beautiful … they both are! You have grown so very much in your photography! You inspire me to get back at it to see how much I might grow! Hey!!!!!!!!!!!!! So great to hear from you! I’m planning on an email this afternoon. THANK YOU SOOOOOO much for liking what I have been doing. You’re just the best!!!! Yes!!! I have learned how to add texture and MAN!!! I am loving them. Funny too because I was so afraid of the textures. But, Oh!!! They are so much fun!!! The answer to the big blue box will be in my email. much love! Can’t wait to see what you have been up to with your photos. AND THANK You AGAIN!!!! You have just made my day! I have been having far too many of those restless nights. 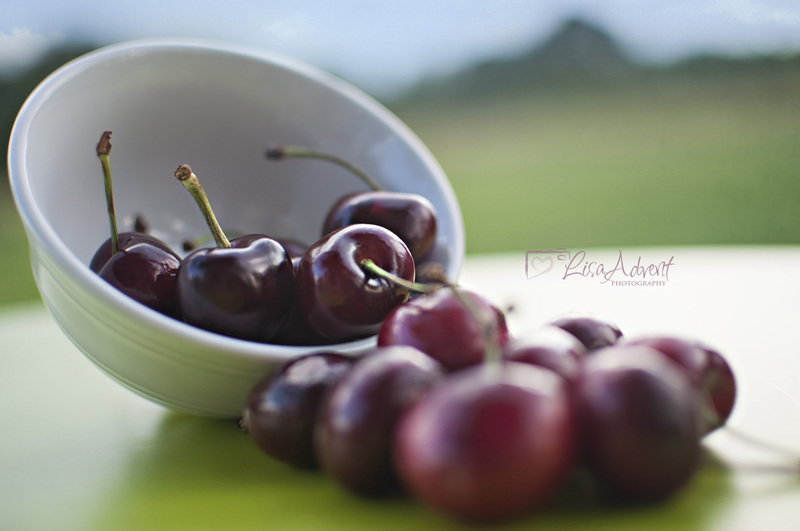 Maybe what I need is a bowl of those luscious looking cherries.